Primary elections were created to give voters more of a voice in candidate selection before the general election. 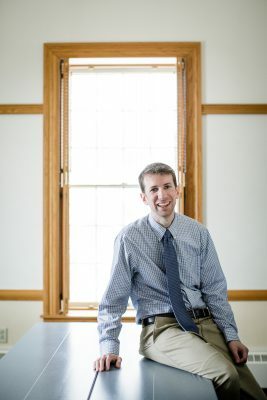 Cornell College Professor of Politics Hans Hassell has researched the topic for years and discovered there’s more to the story. He explains his findings in his new book “The Party’s Primary,” published by Cambridge University Press, which is a project that started when he witnessed the influence party organizations and party elites had on the nomination process while he was working as a staff member on political campaigns. He noticed that sometimes the party very clearly wanted a candidate out of the process, and it would work swiftly to remove those candidates from the running. Hassell said parties have a variety of tools they can use to control what happens in a primary, and it’s more than just money. Understanding these resources accessible to parties can help people understand why some anti-establishment candidates are more successful than others. In the book, Hassell draws on data from over 3,000 primary elections between 2004 and 2014 and from a large number of interviews with political elites. These interviews provide a better picture of the process and the inside tactics of parties. The book is accessible to an undergraduate audience and for those interested in the behind-the-scenes work going on in the world of politics. “The Party’s Primary” will be released by the beginning of January of 2018. Readers can order a copy on Amazon or through Cambridge University Press.